Mt. Pleasant C.D.C.is an outreach ministry of Mt. Pleasant United Methodist Church. All policies are set by the Mt. Pleasant C.D.C Board of Directors. Our program includes a full day, year-round program, which operates from 6:30 am to 6 pm. It is a flexible program which allows parents to register for either half days, from 8 am to 12 pm, or any combination of days. Registration takes place year around for our fall preschool. Our after school program which runs from August to the last day day of GCS, also offers flexible with weekly and daily rates. We generally serve Sedalia, McLeansville and Gibsonville Schools.Registration is also year around. We offer summer programs for both preschool and school age children which includes a variety of on and off site learning experiences to fill those summer days. There is a separate registration for our summer program, which begins in June and ends in August according to GSC summer break. The summer registration begins in March of each year. We are looking forward to serving your childcare needs! We strive to provide a Pre-School and After School program that allows children to grow and develop into the beautiful, unique individuals God has created them to be. We feel that children thrive in an atmosphere of acceptance and diversity. We believe that children benefit from a quality program that promotes a "hands on learning approach" to life skills and new learning concepts. We strive to provide each child with fun, stimulating daily activities and experiences that promote social development, enhance developmental growth, encourage children to explore, and develop and joy for learning. 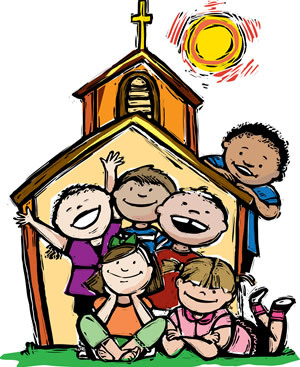 We invite you to come visit our school, as our staff is looking forward to working with your child and finding daily opportunities to share God's love and to help children explore the wonderful blessings of God's world.